The Ice House - Cottage 2 - is a four star Canada Select cottage located 150 feet from the Atlantic Ocean. 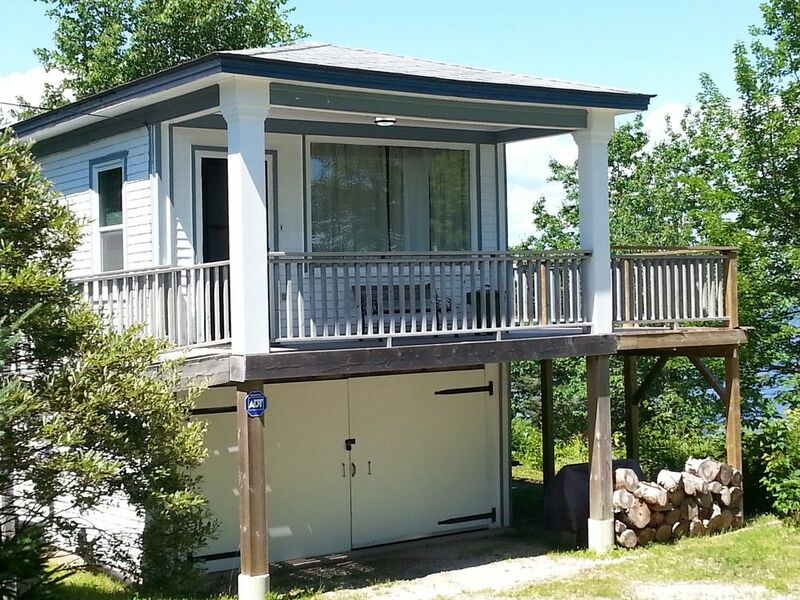 This little cottage has 500 square feet of living area, plus 416 square feet of deck with an ocean view, propane barbeque, and wooden deck lounges. The interior of Cottage 2 has a Murphy bed which folds effortlessly into the wall when not in use. There is a fully equipped kitchen and three piece bath. The building dates back to 1860 and was at one time a post office, a general store, and most recently a toy shop. A gravel path leads down to the lower road to access the Atlantic Ocean, viewing deck and slipway. The slipway area is an ideal water access for kayaking or for swimming when the water temperature and the tides permit. The Cottage is equipped with cable TV, VCR, radio, CD and cassette player. A telephone is provided with long distance by calling card only. Located in the fishing community of Birchy Head, we are less than 10 minutes from Hubbards, and less than an hour from Halifax, Chester, Mahone Bay, Lunenburg, and Peggy's Cove, and apprx. a one hour drive from the Stanfield International Airport. Available Dates: May 15 to October 1 Rates: High Season (July 15th to Sept 15th) $950.00/week + tax. Low Season $850.00/week + tax. 50% deposit required on booking. Rates based on double occupancy. (Sunday to Sunday) Extra person fee of 25 per person per night after the first 2 guests.